In the field, I become especially attentive to temperature. Is it too cold to catch birds? 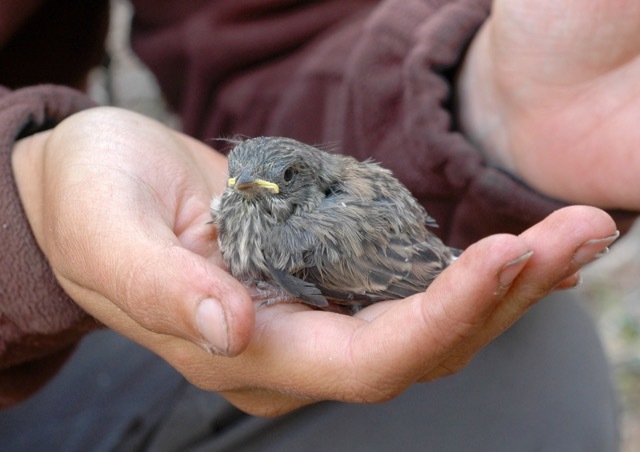 Are my hands warm enough to not chill a bird when I hold it? 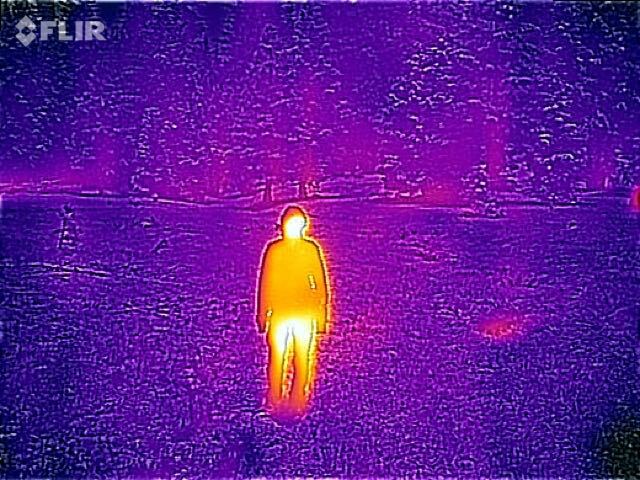 Recently, a friend very kindly let me take his FLIR ONE to the field: this is a device that fits over your phone and lets you take photos of heat. (Normal photos are of visible light.) Warmer objects show up as yellows and whites; colder objects are blue and black. The photos it takes aren’t of absolute temperature—that is, 40 degrees F isn’t always the exact same color—but rather of relative temperature: within the same photo, you can use the colors to compare temperatures, but you can’t compare across photos. This was a lot of fun to use in the field, especially since the weather so generously gave us lots of temperatures to observe by snowing on us. Did you know that snow is cold, and humans are warmer than snow?